Dipak Misra, CJ. And Mihir Kumar Jha, J.
Dipak Mishra, CJ. – By this writ petition preferred under article 226 of the Constitution of India, the petitioner has prayed for quashment of the order dated January 8, 2010, annexure 8, passed by the Commissioner of Income-tax-II, Patna, under section 263 of the Income-tax Act, 1961 (for brevity ”the Act”) whereby the said authority has cancelled the order dated March 30, 2009 (annexure 5) passed under section 271(1)(c) of the Act by the Assessing Officer and directed to proceed in accordance with law. 2. Filtering the unnecessary details, the facts which are essential to be stated are that the assessee-petitioner is a firm engaged in the dealership of Tata diesel vehicles servicing and the dealership of Bharat Petroleum Corporation Ltd. The order of assessment was framed for the assessment year 2004-05 and the Assessing Officer determined the tax liability at Rs.14,47,725 and in the course of assessment, initiated a proceeding under section 271(1)(c) of the Act on the ground that the assessee-petitioner had furnished inaccurate particulars of income which came in the compartment of concealment of income. The assessee-petitioner preferred an appeal, being I.T.A. No. 644/A-II710/2006-07, before the Commissioner of Income-tax (Appeals)-II, Patna, who, by order dated October 3, 2007, repelled the submissions canvassed by the assessee-petitioner and dismissed the appeal. 3. Being grieved and dissatisfied with the aforesaid order, the assessee-petitioner preferred an appeal before the Income-tax Appellate Tribunal (ITAT), Patna Bench, Patna (for short, ”the Tribunal”) and the Tribunal allowed the appeal in part, vide order dated March 23, 2009. “Further, the assessee submitted that the penalty cannot be imposed for mere omission unless there is some evidence to show or some circumstances found from which it can be gathered that the omission is intentional and attributable to intention and desire on the part of the assessee to hide or conceal the income so as to avoid the imposition of tax thereon. 5. After the said order came to be passed, the Commissioner of Income-tax issued a notice under section 263 of the Act expressing the view that the order passed by the Assessing Officer is considered as erroneous causing prejudice to the interests of the Revenue and he was required to show cause why the penalty proceedings initiated in his case under section 271(1)(c) of the Act which has been dropped should not be cancelled and suitable direction be issued to the Assessing Officer for passing a fresh order under section 271(1)(c) of the Act. 6. The assessee-petitioner filed his show cause contending, inter alia, that the Commissioner has no jurisdiction to initiate a proceeding under section 263 of the Act as the Assessing Officer had only dropped the penalty proceeding whereas section 263 of the Act covers in its ambit only those orders which pertain to the orders of assessment which are erroneous and prejudicial to the interests of the Revenue. It was canvassed that section 263 was only applicable to the order of assessment or reassessment but not to an order of penalty as envisaged under section 271(1)(c) as penalty does not form a part of the assessment. That apart, it was contended that the order passed by the Assessing Officer cannot be regarded to be erroneous and prejudicial to the interests of the Revenue. 7. The Commissioner, by the impugned order dated January 8, 2010, repelled the submissions holding, inter alia, that the language employed under section 263 of the Act could not be restricted to assessment or reassessment proceeding alone but would cover in its ambit and sweep proceeding for imposition of penalty. As far as the aspect ”prejudicial to the interests of the Revenue” is concerned, the Commissioner opined that the order passed by the Assessing Officer dropping the penalty proceeding initiated under section 271(1)(c) of the Act is erroneous and also prejudicial to the interests of the Revenue. Being of this view, he annulled the order of the Assessing Officer dated March 30, 2009, dropping the penalty proceeding and directed him to pass a fresh order considering the entire material on record. 8. We have heard Mr. Krishna Nandan Singh, learned senior counsel for the petitioner, and Mr. Harshwardhan Prasad, learned senior standing counsel along with Mrs. Archana Sinha for the Revenue. 9. The two questions that emerge for consideration in this writ petition are whether the Commissioner in exercise of power under section 263 of the Act can direct for reopening of a penal proceeding because of the language employed under section 263 of the Act, and, secondly, whether the conditions precedent to section 263 of the Act are satisfied to justify the action. “263. (1) The Commissioner may call for and examine the record of any proceeding under this Act, and if he considers that any order passed therein by the Assessing Officer is erroneous in so far as it is prejudicial to the interests of the Revenue, he may, after giving the assessee an opportunity of being heard and after making or causing to be made such inquiry as he deems necessary, pass such order thereon as the circumstances of the case justify, including an order enhancing or modifying the assessment, or cancelling the assessment and directing a fresh assessment. (c) where any order referred to in this sub-section and passed by the Assessing Officer had been the subject-matter of any appeal filed on or before or after the 1st day of June, 1988, the powers of the Commissioner under this sub-section shall extend and shall be deemed always to have extended to such matters as had not been considered and decided in such appeal. 15. In CIT v. Sara Enterprises  224 ITR 169 (Mad. ), the Division Bench of the Madras High Court was dealing with the questions with reference to section 256(1) of the Income-tax Act, 1961, whether, on the facts and in the circumstances of the case and having regard to the provisions of section 263 read with section 275 of the Income-tax Act, 1961, the Appellate Tribunal was justified in cancelling the order passed by the Commissioner of Income-tax under section 263 of the Income-tax Act, 1961, and whether the bar of limitation contained under section 275 of the Income-tax Act, 1961, would attenuate or curtail the powers of the Commissioner of Income-tax, vested in him under section 263 of the said Act. In the said case, the Income-tax Officer, during the course of the assessment proceeding, initiated penalty proceedings under section 271(1)(c) of the Act. Subsequently, the Income-tax Officer dropped the penalty proceedings. The Commissioner of Income-tax (Administration), on scrutiny of the order passed by the Income-tax Officer, came to the conclusion that the order passed by the concerned Income-tax Officer in dropping the penalty proceedings was erroneous and prejudicial to the interests of the Revenue. 16. In this regard, we may fruitfully refer to CIT v. Toyota Motor Corporation  306 ITR 49 (Delhi) wherein a Division Bench of the Delhi High Court dealing with the exercise of power under section 263 of the Act had directed the Assessing Officer to revise the order dropping the penalty proceedings. At that juncture, in that context, the Bench held that the order of the Assessing Officer was cryptic, but it did not deal with the jurisdiction of the Commissioner to remit the matter under section 263 of the Act. 18. The apex court in CIT v. Gold Coin Health Food P. Ltd.  304 ITR 308 (SC) has held that the circumstances under which an amendment was brought to section 271(1)(c)(iii) to mean that the said provision was intended to levy penalty not only in a case where after addition of concealed income, a loss returned, after assessment becomes positive income, but also in a case where addition of concealed income reduces the returned loss and finally the assessed income is also a loss or minus figure. Their Lordships opined that even during the period between April 1, 1976, and April 1, 2003, the position was that penalty was leviable even in a case where the addition of concealed income reduces the returned loss. This view was expressed by holding that Explanation 4 to section 271(1)(c)(iii) regarding the imposition of penalty even if the returned income is a loss is clarificatory and not substantive. ”Under section 263, as above noticed, the Commissioner can call for the record of any proceeding under the Act. In the present case, he does so. He calls for the record pertaining to the assessment proceedings. He examines them, which he is empowered to do. He considers the order of assessment passed therein. He finds that the facts pertaining to the late filing of the return and non-filing of estimate of advance tax have not been considered. The provisions of sections 271(1)(a) and 273 of the Act have not been invoked. Does this make the order of assessment erroneous and prejudicial to the interests of Revenue ? The answer will depend on whether the penalty proceedings are part of the assessment proceedings ? Is it essential for the Income-tax Officer to record his satisfaction or direction to issue a notice under section 271 as a part of the assessment order ? We think not. Such a recording of satisfaction or a direction is not an integral part of the assessment order that a failure to do so would render it erroneous. 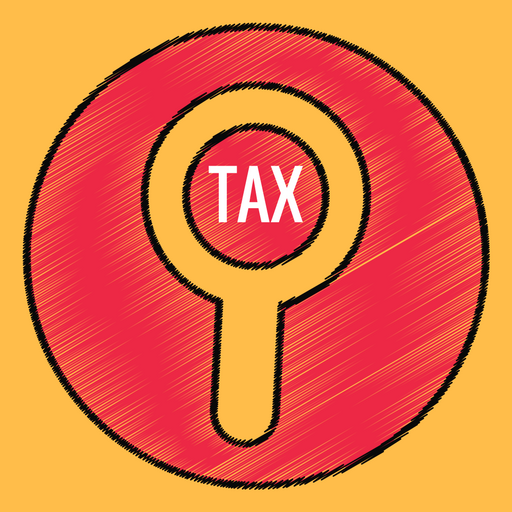 The Income-tax Officer’s jurisdiction to impose penalty under section 271(1)(a) arises only if he is satisfied ‘in the course of any proceedings under this Act’ that the return has either not been furnished or furnished late, without reasonable cause. Similar is the situation with regard to the filing of estimate of advance tax and section 273 uses the words ‘in the course of any proceedings in connection with regular assessment’. The Supreme Court has dealt with this aspect of the matter in CIT v. S.V. Angidi Chettiar  44 ITR 739 (SC) and D.M. Manasvi v. CIT  86 ITR 557 (SC), and held that the necessary satisfaction of the Income-tax Officer which gives him jurisdiction to impose the penalty has to be arrived at before the passing of the assessment order. Though it is true that the satisfaction of the Income-tax Officer, before the conclusion of the assessment proceedings, is the condition precedent for an exercise of the jurisdiction to impose penalty, the non-expression of such a satisfaction in the assessment order cannot invalidate it. It is well established that proceedings for the levy of penalty are independent and separate from assessment proceedings. 21. After so holding, their Lordships concurred with the view expressed in J.K. D’ Costa  133 ITR 7 (Delhi) and proceeded to state that the Commissioner is (not ?) entitled to bring within his scope and deal with penalty proceedings and orders (which are admittedly connected but distinct) while calling for and examining the record of the assessment proceedings and orders. 22. In P.C. Puri v. CIT  151 ITR 584 (Delhi), it has been held that an assessment cannot be said to be prejudicial to the interests of the Revenue because of the failure of the Income-tax Officer to record his opinion about the leviability of the penalty as penalty proceedings do not form a part of the assessment proceedings. ”Thus, the position boils down to this that the view taken in J.K.D’ Costa’s case  133 ITR 7 (Delhi) has been confirmed by the Supreme Court and, according to this case, the Commissioner of Income-tax is not entitled to set aside the assessment order passed by the Income-tax Officer on the ground that there was no mention of initiation of penalty proceedings in the assessment order and the Commissioner of Income-tax in the proceedings under section 263 of the Act cannot direct the Income-tax Officer to make fresh assessment to initiate penalty proceedings. As the position stands concluded and settled by the Supreme Court, the question which is now sought to be referred by the Commissioner of Income-tax cannot be said to be a substantial question of law arising out of the Tribunal’s order. It is only a question of academic nature. 24. In Surendra Prasad Singh v. CIT  173 ITR 510 (Gauhati), the Gauhati High Court concurred with the view taken by the Delhi High Court in J.K.D’ Costa’s case  133 ITR 7 (Delhi). 25. In CIT v. Linotype and Machinery Ltd.  192 ITR 337 (Cal), the Calcutta High Court also followed the view rendered in J.K.D’ Costa’s case  133 ITR 7 (Delhi) and Surendra Prasad Singh  173 ITR 510 (Gauhati). 26. On a perusal of the aforesaid decisions, it is luculent that there are divergent views. The hub of the matter is whether the words used in section 263 of the Act would include dropping of a penalty proceeding that has been initiated at the time of framing of the assessment. On a studied scrutiny of section 263 of the Act, it is perceptible that the said provision empowers the Commissioner of Income-tax, inter alia, to call for and scrutinise the record of any proceeding under the Act and, if necessary, to revise any order passed therein if he considers that the order passed by the Assessing Officer is erroneous and prejudicial to the interests of the Revenue. 27. Two facets that are required to be taken note of are that it may be ”any order” and the same might be one passed by the Assessing Officer ”in any proceeding” under the Act. As has been held in Narpat Singh Malkhan Singh  128 ITR 77 (MP) that the words ”in the course of any proceeding” has a wide connotation. The High Court of Rajasthan in H.H. Rajdadi Smt. Badan Kanwar Medical Trust v. CWT  214 ITR 130 (Raj) has held that recording of the words ”proceedings are dropped” amounted to an order and such order can be revised by the Commissioner of Income-tax even if the same has not been communicated to the assessee. Thus, section 263 would take within its ambit and sweep even the orders whereby either proceedings are dropped and proceedings are filed. In New Jagat Textile Mills P. Ltd. v. CIT  282 ITR 399 (Guj) ;  196 CTR 110 (Guj), it has been observed that the settled legal position is that even if the proceedings are dropped and terminated or filed, any such noting would amount to an order and it would be open to the Revenue to initiate reassessment proceedings or revisional proceedings upon the necessary conditions being fulfilled in the exercise of jurisdiction under one or the other provision. 28. Thus, in essence, the initial words of section 263 ”any proceedings” under the Act are of immense signification. Secondly, section 263 which uses the words ”any order passed therein” by the Assessing Officer also has its importance. It is also seen from section 263 that the said provision uses the words ”pass such order thereon as the circumstances of the case justify, including . . . ” The word, ”proceedings” hence, we are disposed to think, is a wider term compared to the word ”assessment”. It is also worth noting that the word ”assessment” has been used only after the word ”including” towards the end of section 263 and in the earlier part of section 263, the only word used is ”proceedings”. Hence, in any proceeding in which an order is passed dropping penalty, is very much an order passed in any proceeding and, thus, the same would come under the exercise of revisional jurisdiction of section 263 of the Act. ”From a reading of sub-section (1) of section 263, it is clear that the power of suo motu revision can be exercised by the Commissioner only if, on examination of the records of any proceedings under this Act, he considers that any order passed therein by the Income-tax Officer is ‘erroneous in so far as it is prejudicial to the interests of the Revenue’. It is not an arbitrary or unchartered power. It can be exercised only on fulfilment of the requirements laid down in sub-section (1). The consideration of the Commissioner as to whether an order is erroneous in so far as it is prejudicial to the interests of the Revenue, must be based on materials on record of the proceedings called for by him. If there are no materials on record on the basis of which it can be said that the Commissioner acting in a reasonable manner could have come to such a conclusion, the very initiation of proceedings by him will be illegal and without jurisdiction. The Commissioner cannot initiate proceedings with a view to starting fishing and roving enquires in matters or orders which are already concluded. Such action will be against the well-accepted policy of law that there must be a point of finality in all legal proceedings, that stale issues should not be reactivated beyond a particular stage and that lapse of time must induce repose in and set at rest judicial and quasi-judicial controversies as it must in other spheres of human activity (see Parashuram Pottery Works P. Ltd. v. ITO  106 ITR 1 (SC) at page 10). As observed in Sirpur Paper Mills Ltd. v. ITO  114 ITR 404 (AP) by Raghuveer J. (as his Lordship then was), the Department cannot be permitted to begin fresh litigation because of new views they entertain on facts or new versions which they present as to what should be the inference or proper inference either of the facts disclosed or the weight of the circumstances. If this is permitted, litigation would have no end, ‘except when legal ingenuity is exhausted’. To do so, is ‘… to divide one argument into two and to multiply the litigation’. ”A bare reading of this provision makes it clear that the prerequisite to the exercise of jurisdiction by the Commissioner suo motu under it, is that the order of the Income-tax Officer is erroneous in so far as it is prejudicial to the interests of the Revenue. The Commissioner has to be satisfied of twin conditions, namely, (i) the order of the Assessing Officer sought to be revised is erroneous ; and (ii) it is prejudicial to the interests of the Revenue. If one of them is absent-if the order of the Income-tax Officer is erroneous but is not prejudicial to the Revenue or if it is not erroneous but is prejudicial to the Revenue-recourse cannot be had to section 263(1) of the Act. There can be no doubt that the provision cannot be invoked to correct each and every type of mistake or error committed by the Assessing Officer, it is only when an order is erroneous that the section will be attracted. An incorrect assumption of facts or an incorrect application of law will satisfy the requirement of the order being erroneous. In the same category fall orders passed without applying the principles of natural justice or without application of mind. The phrase ‘prejudicial to the interests of the Revenue’ is not an expression of art and is not defined in the Act. Understood in its ordinary meaning it is of wide import and is not confined to loss of tax. The High Court of Calcutta in Dawjee Dadabhoy and Co. v. S.P. Jain  31 ITR 872 , the High Court of Karnataka in CIT v. T. Narayana Pai  98 ITR 422 , the High Court of Bombay in CIT v. Gabriel India Ltd.  203 ITR 108 and the High Court of Gujarat in CIT v. Smt. Minalben S. Parikh  215 ITR 81 treated loss of tax as prejudicial to the interests of the Revenue. Mr. Abraham relied on the judgment of the Division Bench of the High Court of Madras in Venkatakrishna Rice Co. v. CIT  163 ITR 129 interpreting ‘prejudicial to the interests of the Revenue’. The High Court held (page 138) : ‘In this context, it must be regarded as involving a conception of acts or orders which are subversive of the administration of the Revenue. There must be some grievous error in the order passed by the Income-tax Officer, which might set a bad trend or pattern for similar assessments, which on a broad reckoning, the Commissioner might think to be prejudicial to the interests of the Revenue administration’. In our view, this interpretation is too narrow to merit acceptance. The scheme of the Act is to levy and collect tax in accordance with the provisions of the Act and this task is entrusted to the Revenue. If due to an erroneous order of the Income-tax Officer, the Revenue is losing tax lawfully payable by a person, it will certainly be prejudicial to the interests of the Revenue. 32. Judged on the anvil of the aforesaid pronouncement of law, the dropping of the penalty proceeding, as is manifest from the impugned order, is definitely erroneous and prejudicial to the interests of the Revenue. The Commissioner of Income-tax has passed a detailed order holding, inter-alia, that loss of revenue has been caused as it is an erroneous order. In our considered view, the cumulative test is satisfied. Ergo, the order passed by the Commissioner cannot be found fault with. 33. Resultantly, the writ petition, being sans substratum, stands dismissed without any order as to costs. This entry was posted in Section 263 and tagged 340 ITR, In favour of Revenue, interest of revenue, Patna High Court.